Following are some reports about how to save the water of Mahanadi River. 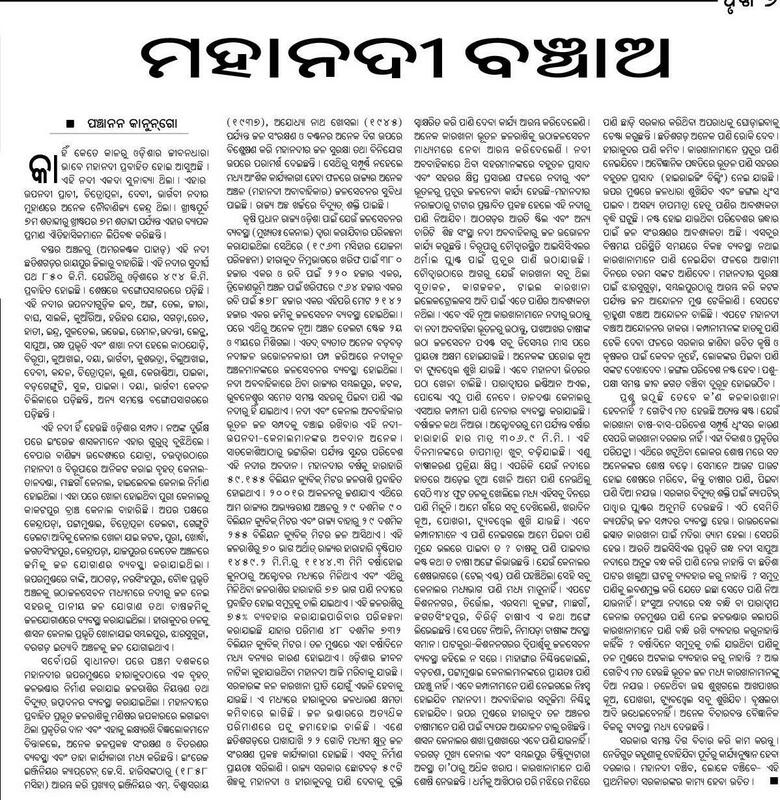 The editorial by Panchanan Kanungoo points out many valid points such as i) misutilization of water by industries, ii) water pollution, iii) insufficient water supply for agriculture and iv) steps required for judicious use of Mahanadi river. 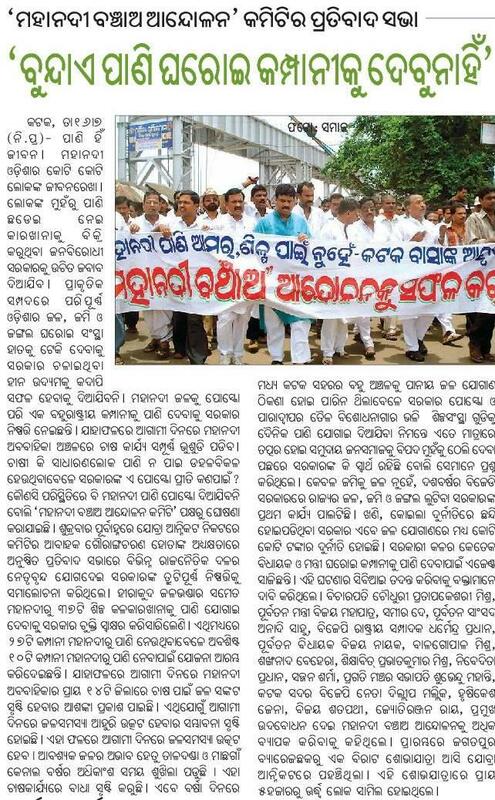 The other report writes about the mass-movement in Katak (Cuttack) to save the water of Mahanadi. Entry filed under: Agriculture, Agriculture and Irrigation, Athmallik, Balangir, Bargarh, Boudh, Hirakud, Industries and mineral resources, Jharsuguda, Region watch, Sambalpur, Subarnapur, Water Resources.